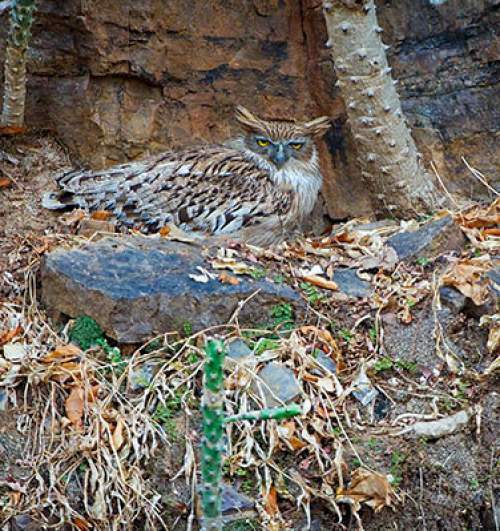 The Dusky eagle-owl (Bubo coromandus) belongs to the family of owls, the Strigidae under the order Strigiformes. 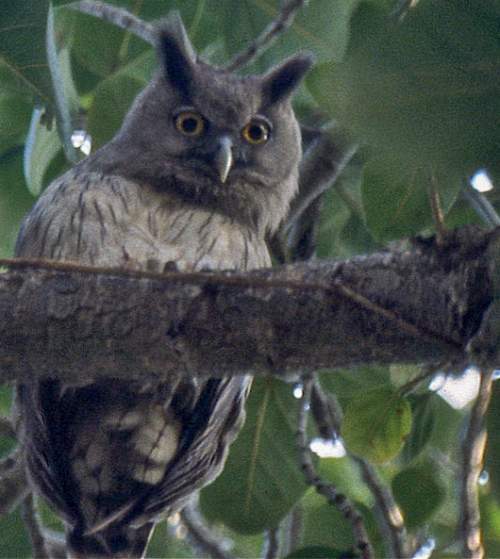 The Strigidae is the family of typical owls under the order Strigiformes. The family Strigidae was first introduced by William Elford Leach, MD, FRS (2 February 1791 – 25 August 1836), an English zoologist and marine biologist, in a guide to the contents of the British Museum published in 1820. 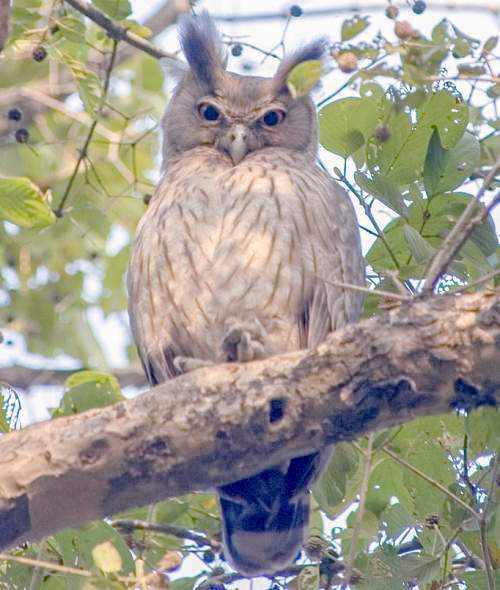 The family Strigidae comprises nearly 220 extant owl species divided into 25 genera, including genus Bubo. 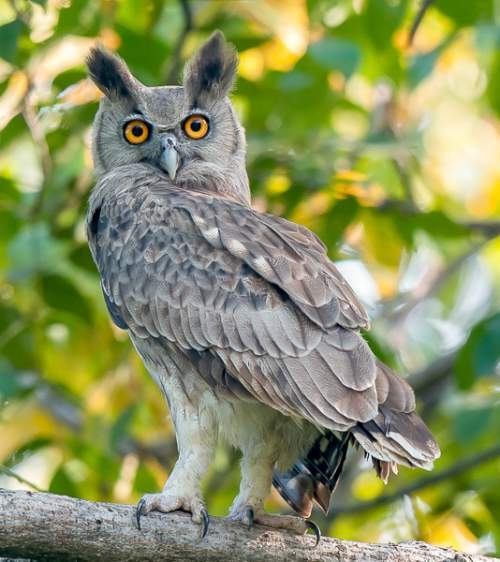 The genus Bubo was first described by André Marie Constant Duméril (January 1, 1774 – August 14, 1860), a French zoologist, in the year 1805. 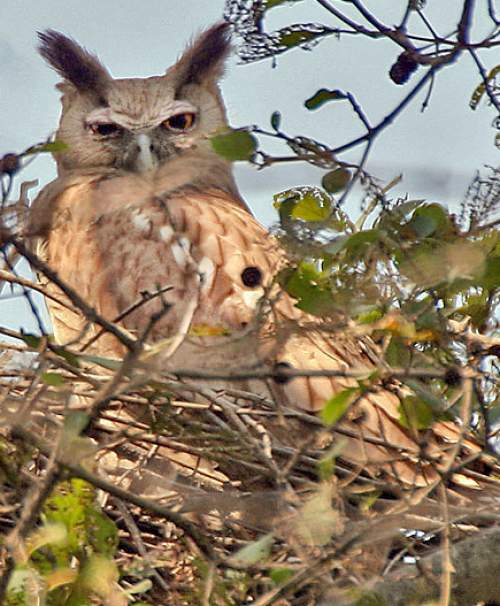 The genus Bubo comprises about eighteen extant owl species, including Bubo coromandus. The species Bubo coromandus was described by John Latham (27 June 1740 – 4 February 1837), an English physician and naturalist, in the year 1790. 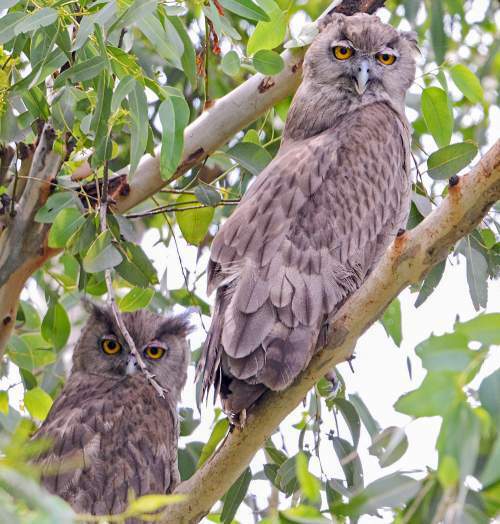 The owl species Bubo coromandus is polytypic and comprises subspecies, B. c. coromandus (Latham, 1790) and B. c. klossi Robinson, 1911. 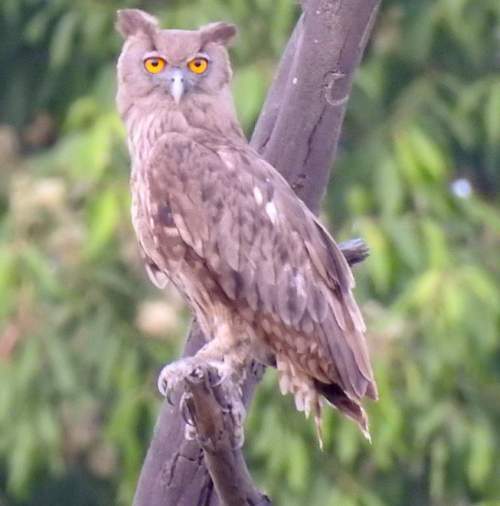 Current topic in Bird World: Dusky eagle-owl - Bubo coromandus images.